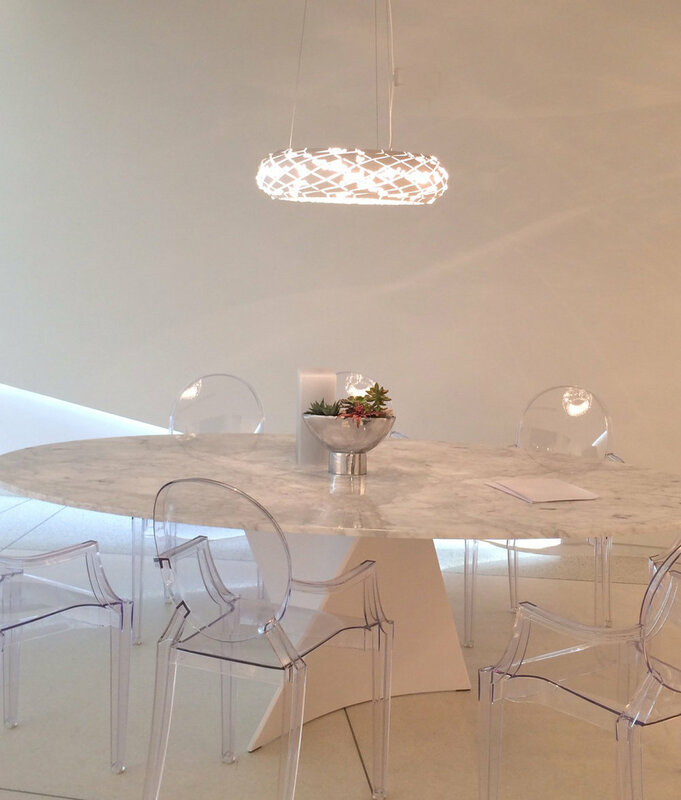 One of my favorite showrooms for design-drooling is Schonbek/Swarovski. They never disappoint with their displays. I especially enjoy the contemporary part of their showroom, maybe because it is such an unexpected treat. The mix of industrial metal and highest quality crystals in the pendants above is intriguing. Since 1870, Schonbek has manufactured authentic handcrafted crystal chandeliers of the highest heirloom quality. Schonbek is manufactured exclusively at its global headquarters in Plattsburgh, NY, U.S.A., drawing inspiration from its rich European heritage and longstanding tradition of chandelier making. Schonbek is a member of the Swarovski Group. The Ingo Maurer Porca Miseria chandelier is an exuberant and creative explosion of china.